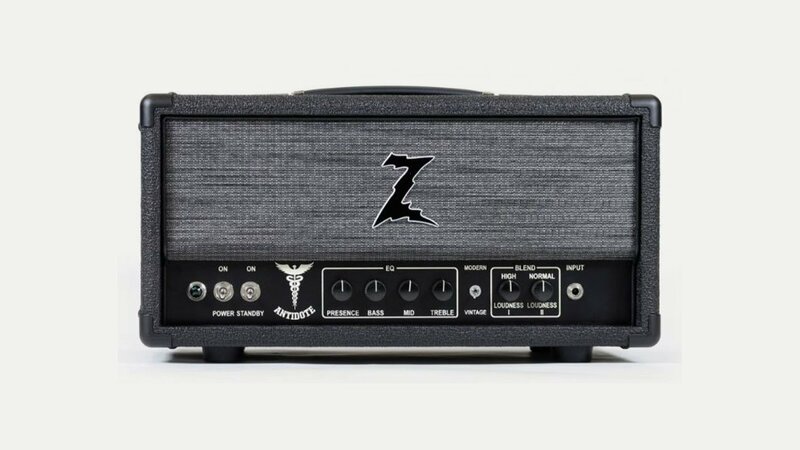 Dr Z is a boutique amp manufacturer founded in 1988 in the US by Mike Zaite, a.k.a. Dr. Z, a drummer who started producing tube amplifiers in his Cleveland area shop, while maintaining his day job as a medical electronic engineer at G.E. As the son of a TV repair shop owner, Zaite learned the ropes at the age of thirteen when he began tinkering with amps and PAs. His first amplifier was based on a reverb amplifier for a Hammond organ. He sold a few hundred of those, and then re-engineered them so he could build them from scratch. His first commercially made amplifier was the Carmen Ghia, an 18-watt amplifier with nothing but a volume and a tone control, 12AX7 and 5751 pre-amp tubes, and two EL84 output tubes. In the early 90’s he built amps for Joe Walsh who used them on an Eagles world tour. After this Zaite decided to concentrate on amps full-time. DrZ are now well respected builders of hand-wired tube amps producing a large range of amps, cabs and accessories.